Company Overview - Shenzhen Baiqiancheng Electronic Co., Ltd.
As an electronic manufacturing services (EMS) leading supplier, Shenzhen Baiqiancheng Electronic Co., Ltd. (BQC Electronics) offers a full range services of printed circuit board assembly (PCBA), mechanical assembly, box build and testing to a broad range of companies and industries, such as consuming electronics, communication electronics, medical electronics, industrial control and customized electronics. 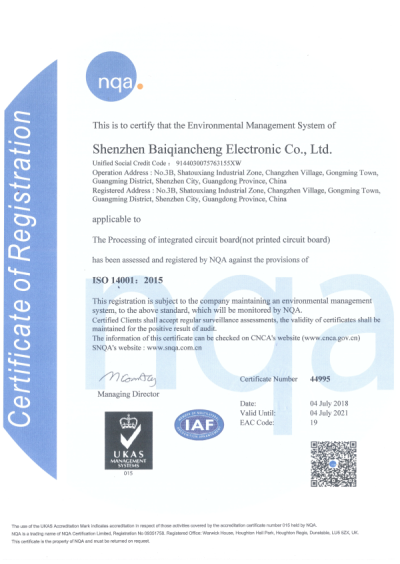 On the basis of PCBA, we provide service with customized features and offer professional security and surveillance system solutions to meet various customers demands.Now we have finished the IATF16949 verification,and get certificate . 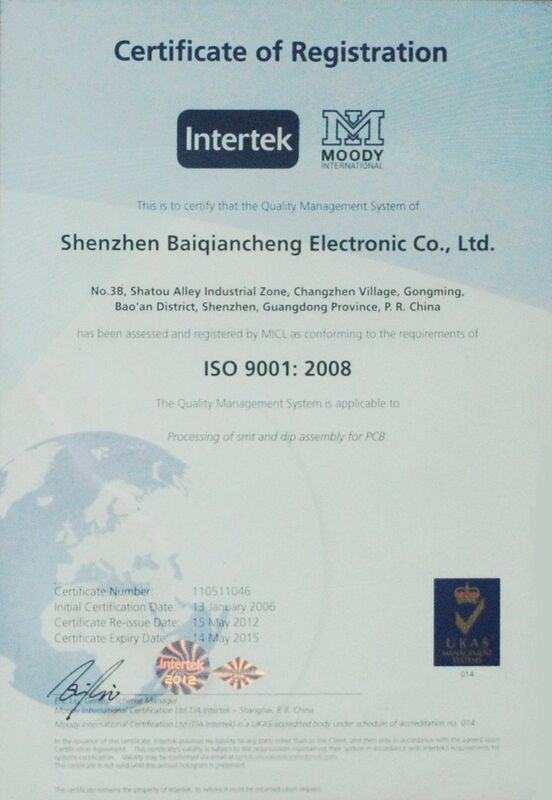 When BQC began operation in 2003, we only had a 2000 square meter building and one pick and place machine. Today, BQC operates out of a 7,000 square meter building, with 12 fully automated SMT lines, 2 DIP line and 2 box build lines. With the ability to be flexible as a middle size company and being able to cater to the varying needs of customers in all types of industries, BQC is developing rapidly. BQC as your one stop solution, we take care of everything from component purchasing (full turnkey service), manufacturing, testing and logistics, dock to dock or dock to market that relief our clients from production, then they can focus on marketing and sales. We do every endeavor to help customers to cost down to increase their market competitiveness without the compromising of quality. Thus, we get a good reputation and found the base of our long term cooperation with our clients. We strictly follow the ISO file "procurement control procedures" ,through stringent supplier qualification evaluation system to import high quality raw material suppliers, the use of quality raw material with excellent performance, lay an important foundation for the product quality. We will follow the development of new products, "new product long-term reliability verification measures" file requirements, including environmental,aging and other long-term reliability testing, test the product's long-term stability of the design flaws, improved design, make our products more stability and more use of volume manufacturing. 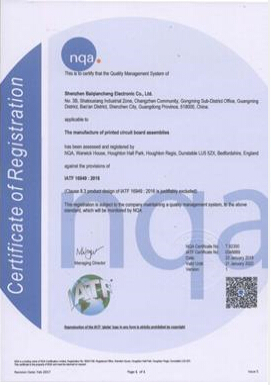 Our production manufacture process strictly comply with ISO9001,ISO13485,ISO14001 IATF16949 quality system.And we can also comply IKEA standard(IOS-PRG-0027AA-224712-5) as customer requirement.Incoming inspection of raw materials in IQC, QE product first article inspection, IPQC process inspection, QA and other aspects shipment inspection system requirements are strictly enforced, all products must go through AOI, ICT , X-RAY,functional testing and other sectors to ensure product quality.